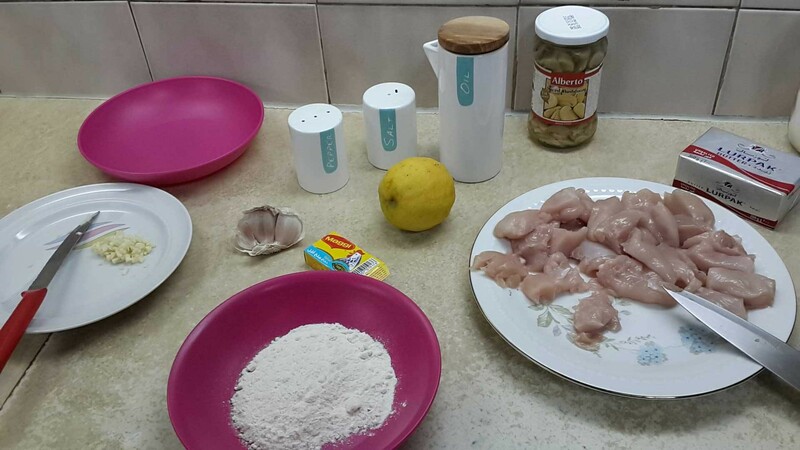 Recipes – When In Beirut! Hello lovelies! Can you believe it’s December already?! The holidays are just around the corner and the weather is getting colder, which means……Chocolate!! Today I have a very special recipe for you. It’s fast, simple yet sophisticated and oh so full of chocolate to leave you feeling good and warm. Ladies and gents, a round of applause for the Moelleux Au Chocolat! Hello everyone! Can you believe it’s July already? I could swear it was December last week! Anyway, July is one of my favourite months, and for that I decided to make a very classic dessert from the French cuisine: Baba au Rhum! (Rhum cake). Hello lovelies! Today I am sharing a very special recipe: traditional french Dark Chocolate Tart. This tart is everyone’s favourite at home. It is very heart warming and brings instant happiness. This recipe is traditional with simple ingredients, yet it has a very fancy and sophisticated taste! And so for that, I decided to make my favourite comfort food, a good old Fettuccine! Chocolate Cupcake Recipe: A treat for the Holidays! If there’s one thing the whole world could agree on, it’s that Hot Chocolate is simply D-E-L-I-C-I-O-U-S! It takes you back to that warm and happy place where you’re wearing fuzzy socks while watching Saturday morning cartoons. It’s basically a passport to Winter Wonderland! Chicken has a special place in my heart. I’m always looking for new, fast and easy recipes for when I have some free time to cook. I came across the recipe for Lemon Chicken Piccata which is an Italian dish; it’s light and delicious and oh so full of flavours! This here is my version of the dish, served with a side of Italian rice. Cut the chicken breasts into cubes. Season the pieces with salt and pepper to taste and dredge them in flour. Heat the vegetable oil in a skillet; pan-fry the chicken pieces until golden brown on both sides. Remove and put away the chicken. In the same skillet, cook and stir the minced garlic for about 30 seconds. Pour in the chicken broth. Stir in the lemon slices and bring the mixture to a boil. Let cook, stirring occasionally, 5 to 8 minutes. Add the lemon juice and mushroom; simmer until the sauce is reduced and slightly thickened, about 5 minutes more. Drop the butter into the skillet until melted. Add the chicken pieces and cook together for about 4 minutes, and you’re done! Hey guys! I will share with you my recipe for a very moist Banana Blackberry Loaf! It’s so simple, fast and easy, you will definitely be making a second batch in no time! In a bowl, beat the eggs and add the flour slowly. The batter will be thick at this point, but don’t panic! Add the remaining ingredients, leave the mashed bananas till the end. After adding the bananas (make sure they are mashed well, no big bumps) the batter will become more or less liquid. 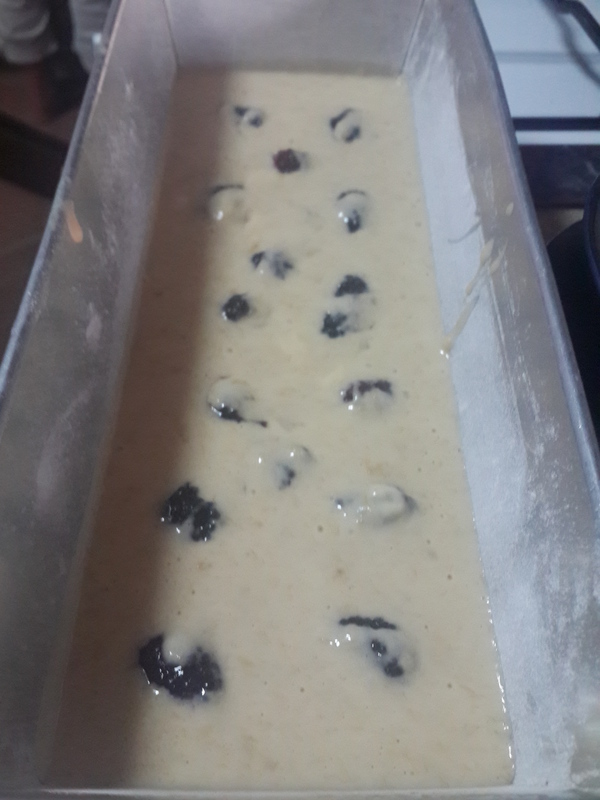 Pour the batter in the greased loaf pan and add the berries on top. You can push them inside the batter if you want as well. Bake at 160 degrees (C) for 35 minutes or until a toothpick comes out clean. Let the cake cool down a little before you remove it. Best served cold. NB: Use extra ripe bananas (still edible though!) for a sweet taste. You can even omit the honey. Add ground nutmeg and cinnamon for an extra flavour! 3 tablespoons brown sugar. I used granulated Stevia. 2 tablespoons evaporated whole milk. I used regular milk and it was just fine! Mix the first 4 ingredients in a saucepan till it boils then add the rest of the ingredients on very low heat just till the chocolate melts and let cool in the fridge for around 40 minutes before it turns to solid completely. 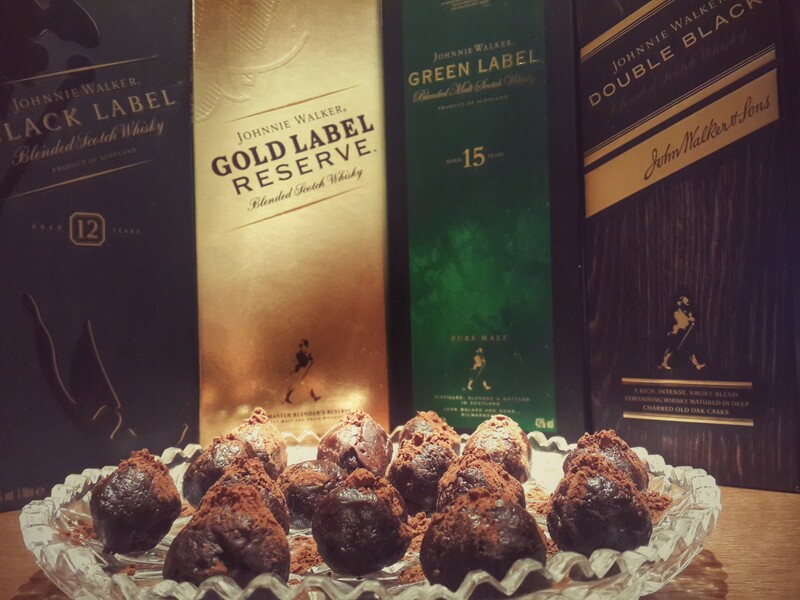 Remove from fridge and with a spoon scoop off some chocolate and roll it into a ball with your hand and cover it with the cocoa powder.